Offering a complete overview of the hospitality and catering industry for over 50 years, this new edition of the essential reference text has been updated to reflect latest developments and current issues. 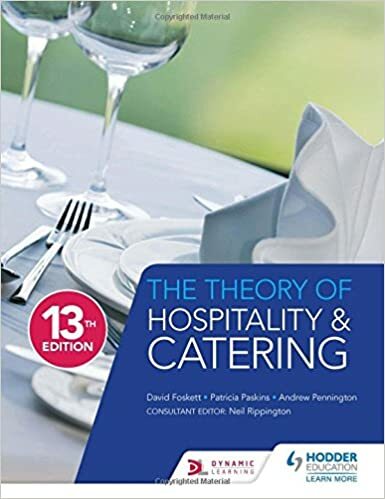 Covering all aspects of the industry - from commodities and nutrition, to planning, resourcing and running each of the key operational areas - The Theory of Hospitality and Catering is an essential text for anyone training to work in the hospitality industry. It will be valuable to anyone completing courses in Professional Cookery and Hospitality Supervision, as well as foundation degree and first-year undergraduate hospitality management and culinary arts students. - Discusses all of the current issues affecting the industry, including environmental concerns such as traceability, seasonality and sustainability; as well as important financial considerations such as how to maximise profit and reduce food waste. - Considers latest trends and developments, including the use and impact of social media. - Updated to reflect up-to-date legislative requirements, including new allergen legislation. - Helps you to understand how theories are applied in practice with new case studies from hospitality businesses throughout.